The flu is running rampant in the US right now, with H3N2 not being the predicted strain by vaccine developers. It has spread rapidly and earlier than usual, and the death toll is rising. Flu deaths are nothing new, unfortunately. The CDC reports that about 12,000 people die in the US every year from flu complications. In a ‘moderately severe’ year like we are currently experiencing, deaths have reached up to 56,000. The rapid spread and the death toll numbers can be scary, especially if you or a loved one are dealing with symptoms. 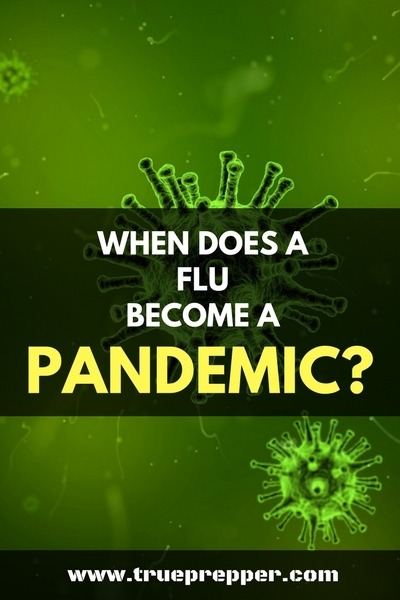 Well go ahead and calm down, because in this post we’re going to look at the bigger picture and examine what it takes for the flu to become a historical pandemic. As you can see, the Hong Kong flu was the same subtype as the flu that is prevalent in America today. Humans have built up better group immunity since it was introduced in 1968, which is why there are less fatalities. New subtypes of the flu virus can show up, however, and those are the ones that pose the most pandemic risk. Phase 1: New influenza viruses are spreading through animals but there has been no transmission to humans. Phase 2: The virus spreading through animals has infected humans. Phase 3: Small clusters or sporadic cases of the flu occur for humans but human to human transmission is not present. Phase 4: Verified human to human transmission of the flu has occurred. This is considered the tipping point for a flu pandemic. Phase 5: The virus has spread to multiple countries in a single region. Phase 6: The virus has spread to multiple regions and a global pandemic is occurring. After these phases, the WHO also emphasizes the importance of the post-peak and post-pandemic periods where people can possibly let their guard down and still contract the virus. Vaccinations – Although scientists aren’t right all the time (as shown with the low effectiveness of the vaccine this year) the best defense against the flu is getting the annual vaccine, according to experts. Pandemic flu will likely not be affected by vaccines, however, and they will be synthesized as quickly as possible. One movie that does a pretty good job at showing just how long this can take is the movie Contagion. As a former emergency manager, I found that movie to be pretty accurate of how government agencies would respond and how agonizingly slow vaccines and distribution could be. Quit Touching Your Face – This is one where I struggle. I’m constantly fiddling with my beard, rubbing my eyes, or just keeping my hands around my face. I work on breaking the habit often and hope to get there one day. It has probably caused me to get sick before, and will cost me again if I don’t push harder to quit. Cover Your Cough – You don’t see it too often, but some people don’t cover their mouth with their cough. I don’t care if you hide your face in your elbow or just use your hand. Particles from your mouth have been measured by scientists to travel 26 feet from coughs. Don’t spread your sickness by being lazy. Wear a N95 Mask – Some cultures are way ahead of us here. In Japan, it is commonplace to wear a face mask during flu season or if you are sick. You may get some odd looks here if you walk around with an N95 mask, but if there is a pandemic flu breakout of a new subtype, I can guarantee you my family and I will all have one on. You can get several for cheap and throw a few into all of your kits. Antiviral Drugs – Tamiflu, Relenza, and Rapivab are used in both the treatment and prevention of flu viruses. They are prescription drugs, so you will need to get a doctor to prescribe you one of these usually to treat severe symptoms. The H3N2 subtype this year is not likely to become a sweeping pandemic or even an epidemic in the US. New strains, rare subtypes, and crossovers from animals are the high-risk influenza viruses that pose the biggest threats. 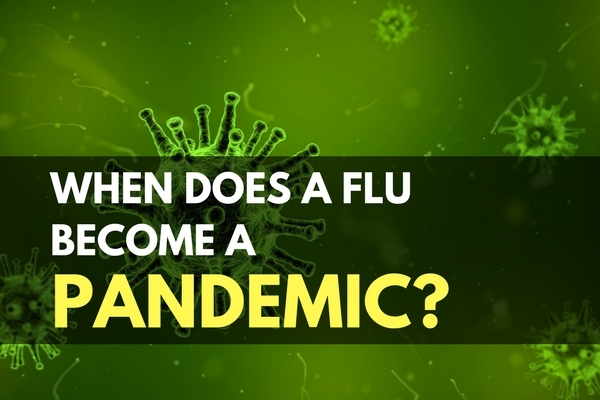 You should still protect yourself from seasonal influenza with the tips above, but know that seasonal influenza is not the same threat as a pandemic flu that would spread quickly past a “moderately severe” seasonal flu. Keep exploring, stay prepared, and be safe. Quick comment on masks. Surgical masks are good enough if you’re sick and trying to prevent the spread when you cough or sneeze. N95 masks are a more expensive alternative…as long as they don’t have an exhalation valve. If you use an N95 mask with an exhalation valve, then your unfiltered breath is leaving through the valve which defeats the purpose of wearing a mask! Same thing with half-face respirators or full face gas masks – they are designed to protect the wearer from outside hazards, not to protect the outside from you. You lost me at ….vaccination. I stopped reading as I’m sure many did.